The National Association of Broadcasters (NAB) Show opens on April 22, but some of the film and video industry’s biggest brands are already revealing what they have in store for the show. 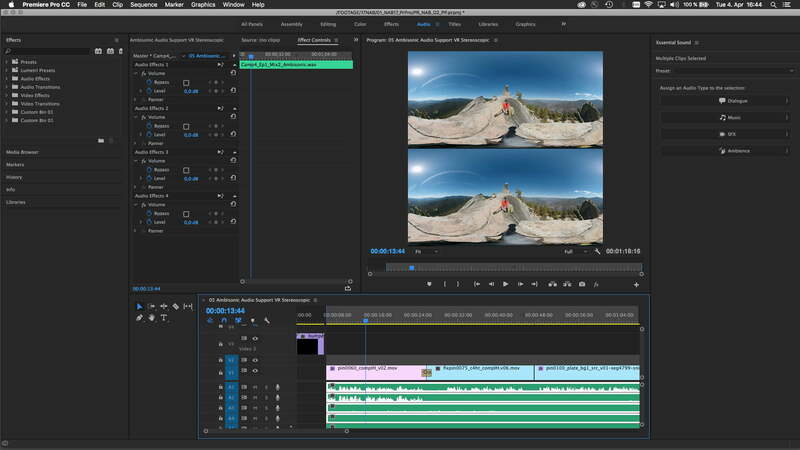 On April 19, Adobe released significant updates to several of its popular Creative Cloud video apps, including Premiere Pro and After Effects. The updates unify the apps around a core focus on collaboration and workflow efficiency, a theme Adobe has been bringing up increasingly often. While any Creative Cloud video user should have reason to download the updates immediately, the new features will be most appreciated by those working in teams. 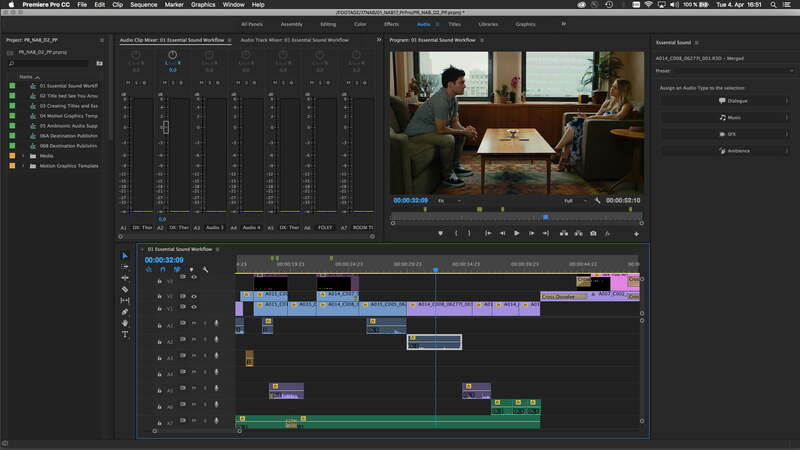 Adobe is looking to make it easier than ever for editors, motion graphics animators, and sound designers to collaborate, with the new Team Projects. Currently in beta, the tool will allow Creative Cloud Team and Enterprise account members to work together on a single project, saving and transferring changes between users, even with team members located in multiple remote locations. 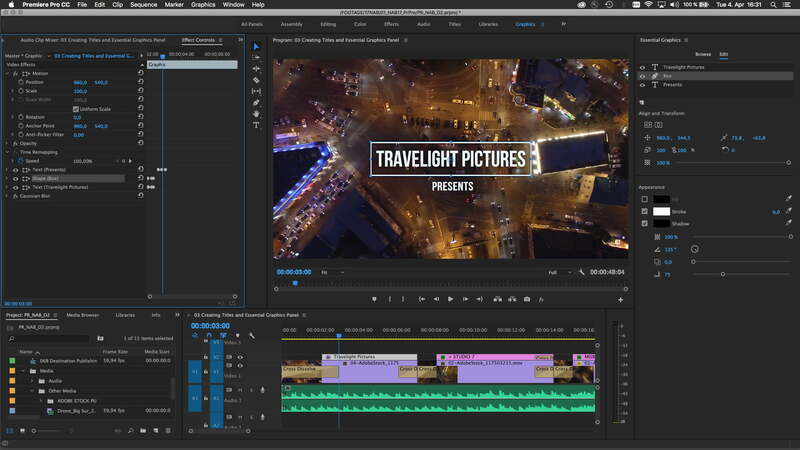 In a live online demonstration, Adobe showed us how an After Effects user in the U.S. could correct blurry video received from a colleague in Europe, who could then open the corrected clip directly in Premiere Pro and continue editing, without having to ever leave the app. Adobe has also replaced Premiere Pro’s Live Text templates with Motion Graphics templates found in the entirely new Essential Graphics panel. Motion Graphics templates can be created in either Premiere Pro or After Effects and seamlessly shared between both applications. The main benefit here is that an After Effects specialist can create templates that allow video editors to later customize specific aspects without needing a deeper understanding of how they were made. 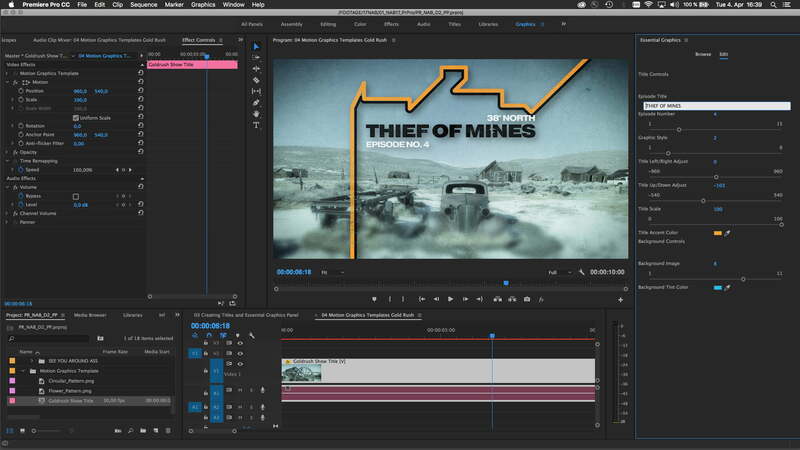 For example, an animated title sequence can be created that lets an editor change the text and color, while the timing and other attributes remain locked. An After Effects users can also save multiple styles of a template that an editor can quickly cycle through to choose the one they prefer. Several smaller improvements have also been made to Premiere Pro and After Effects, such as improved support for virtual reality (VR) and high dynamic range (HDR) content. Adobe Stock video integration has also been updated, with users now able to scrub through stock videos and even publish their own footage to the collection directly from within Premiere Pro. Like all Creative Cloud updates, the new features are included for any users on the $50 per month plan. Users can also opt to subscribe to Premiere Pro only for $20 per month. Visit Adobe’s Video page for more information.